Fim do mês: ocupados com outros afazeres, segue-se um quick recap pelo geist. DB. Politizada. E damos de exemplo política, sátira, e super-heróis em collants para um pacote completo - depois de já termos feito nota semelhante na frente mediática - à qual chegaremos no final- via capas de revista. 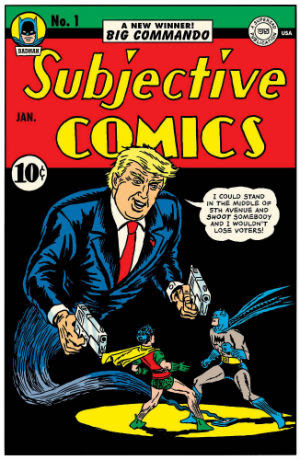 The Unquotable Trump, a limited edition publication by satirical artist R. Sikoryak. 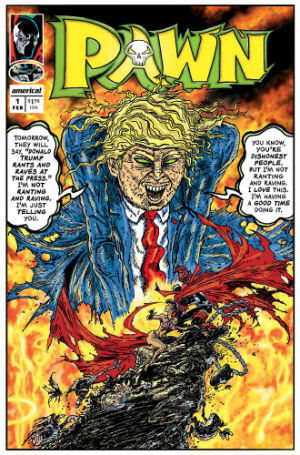 Real quotes are blended into faultless reproductions of classic comic book covers, perfectly mirroring the original source material while framing Trump’s hubristic comments as the ramblings of a solipsistic supervillain. 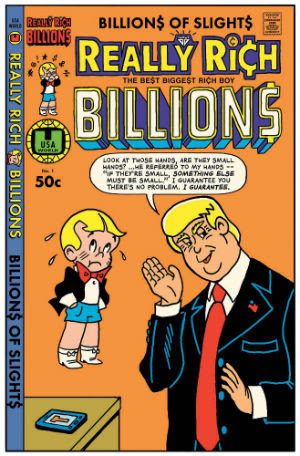 Starting life as a 16-page self-published B+W comic, The Unquotable Trump gained traction on Tumblr, with appreciation of Sikoryak’s shrewdly composed covers growing rapidly through social media word of mouth. His work then caught the eye of Canadian indie powerhouse Drawn and Quarterly. Agora de pés firmes no reino do digital, um mundo de fantasias e liberdade, uma nota para o TCJ onde a propósito de bds europeias, o autor é crítico do uso feito com essa liberdade. Mashup. If you will indulge a few loose thoughts on the aesthetic state of comics [...], the remarkable aesthetic and thematic developments of the last twenty years. The New Wave comics of the ’90s and ’00s, including but by no means exclusive to the “graphic novel boom,” opened up the art form to pretty much any mode of expression of pretty much any type of idea. This poses the challenge to ambitious contemporary cartoonists of what to do with this newfound freedom – a freedom enhanced immeasurably by rapidly evolving digital connectivity. Unsurprisingly, the Internet is becoming the platform of choice for many cartoonists, often exclusively. 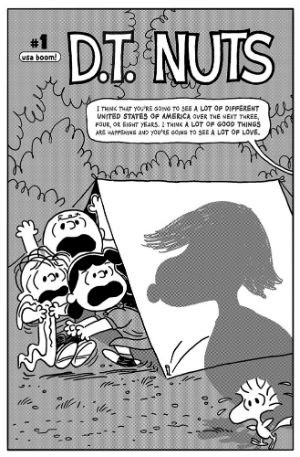 How this is going to affect the art form in the medium and long term is hard to predict, but right now younger cartoonists are focusing on shorter, more easily digestible bursts of creativity. The ideal of a major, coherent – even literary – work so central to the concept of the graphic novel is eschewed in favor of Tumblr- and Instagram-ready exercises in condensation. Meanwhile, long-form, book-ready comics are struggling to maintain their relevance on the edges of the art form. Even if many more of them are being published today, it is rare one gets the sense, previously so acute, of electrifying innovation from a so-called graphic novel. 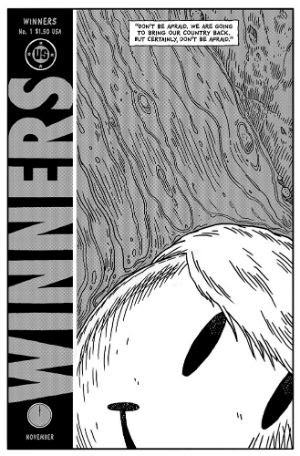 I want to call attention to here is the old bugbear of form vs. content, so close to the surface in comics criticism because of the form’s verbal-visual, so-called hybridity. 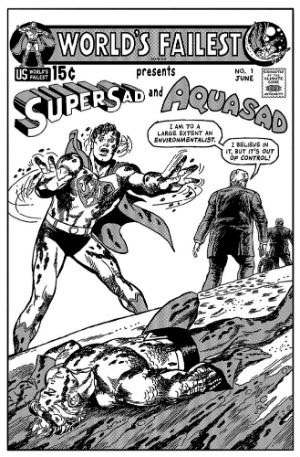 I hesitate here, as I am perfectly aware of the fallacy of separating “art” and “story” in comics, and of how long it has stunted comics criticism. The New Wave liberation of the art form has not meant a return to the older cliché of “great art-bad story,” but rather a situation where “art” and “story” are becoming misaligned to such an extent that the whole is less than the sum of its often impressive parts - a crucial problem in much of our contemporary, would-be innovative comics. As is the case with some many book compilations of shortform comics, the stories work much better on screen in short, sharp bursts than overloaded into a paper volume. All this is obviously done with some skill, and the occasional dialogical exchange or visual surprise hits home, but it really, really helps if you are high. Which basically seems to be the point. There’s something safe, even lazy, in resorting to absurd non-sequiturs and digital psychedelia rather than coherently building a humorous language or crafting a visually compelling environment where the absurd takes on its own meaning. The problem here is not so much the one I’ve been outlining of mismatched form and content, but rather a digitally-enhanced shortcut taken to update a traditional comics format — the short-form humor strip. It does seem to me that the new, open landscape of comics poses unforeseen challenges. There will always be bad, derivative comics around, but that’s not what I’m getting at here. 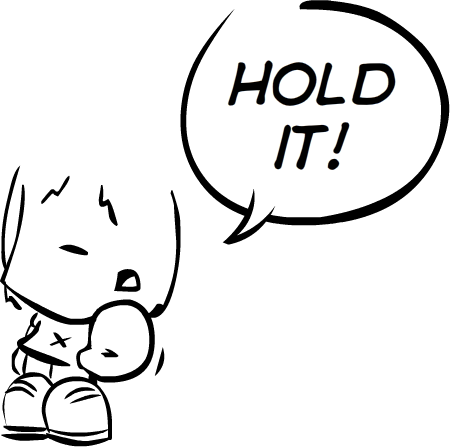 It’s rather the frustration at seeing talented cartoonists flailing in their newfound liberty. What Happens When Wolfenstein Comes Back at the Same Time Nazis Do? Pelo menos, a bem ou a mal, os cómicos chegaram ao digital. só não têm ainda o mesmo impacto de outras artes populares nesse domínio. Case in point, os videojogos: tão mais recentes que a BD, servindo grande parte do mesmo público, mas já tão mais influentes (afluentes?) em controvérsias. Exemplo, "Wolfenstein II", "a reminder that the new white supremacy hasn’t strayed far from its horrific roots." There seems to be a mildly amusing controversy over video game Nazis. It stems from what I can only discern is hundreds of years of systemic antisemitism and white privilege mixed with indoctrinated racism and ignorance. Seemingly overnight, a normal, absurd, sci-fi video game is offending neo-Nazis and coming across as an act of #TheResistance. 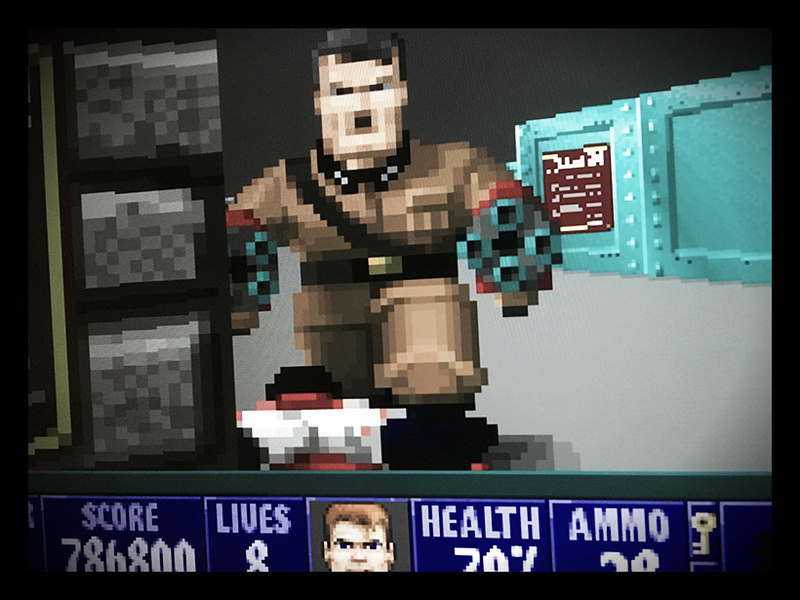 The Wolfenstein series of games has long been about one thing: killing Nazis. For decades, this is what Wolfenstein games were about, and it wasn't controversial in the least. Then 2017 happened and being down with Nazis became publicly acceptable. Suddenly, a game series about killing Nazis became controversial. Part of this is because this latest game—Wolfenstein: The New Colossus—pivots things just slightly, and sets the action here, in America. This is political. There’s no American Zombies party or Concerned Werewolf Citizens party. There aren’t reddit threads, websites and blogs dedicated to proliferating the Goblin King’s vision of the world (even though there should be). Nazis were real, are real and a stance on them, either way, is political. Of course, the offended white supremacists are there, too, like this one, who appears to find the notion of Nazis losing a war unrealistic. The first worrying sign is that a video game about Nazis taking over America seems relevant to what's happening in the news at all. [...] "We have actual Nazis marching openly on the streets of The United States of America in 2017. Just think about how crazy that sounds." Wolfenstein II implies that the Third Reich was able to take over America in part because its ideals already aligned with those of many Americans. That's what's truly scary about Nazis: They're not just video game villains like aliens or zombies. They're something we can become when we're not paying attention. It is something that is already in our society. Now we’ve witnessed the rise of white grievance across the world. They may not all be actual Nazis, but they march alongside men with swastikas, making Hitler salutes, echoing their chants. Most of the complaining is coming from troll accounts with Pepe avatars, or actual antisemites or confused social justice warriors somehow thinking fictional Nazis have rights too. The point is, we seem to be more focused on a narrative being spun by larger political forces set on dividing our minds and attention, rather than the simple truth that Nazis are in fact, bad. What they stand for is pretty terrible. They're great cannon fodder because there's no moral ambiguity to them. They're just genocidal, iconically evil comic book villains. The irony of this is that, for the longest time, Nazis were used as video game villains because they were "safe." If you're making a game where the objective is murdering hordes of digital people, it's best to choose a group that no one would mind seeing wiped out over and over again. In this context, Nazis were fair game, to the point where they became a trope. There was nothing controversial about making Nazis bad guys – they’re the default. No one questioned who Indiana Jones was punching. What’s more interesting is the lack of discomfort with actual Nazi-sympathising Americans in power, eroding freedom and targeting minorities. Attorney general Jeff Sessions, a man long accused of racism, has made actual policy out of the skewed morality of “racism against white people”. The president seems to spends his days targeting black women for pointing out his lies and hating black men for silently protesting about cops murdering their sons. Steve Bannon, a man who provides a big, digital platform for the alt-right, was the president’s senior adviser. And to justify hating immigrants, White House policy adviser Stephen Miller denigrated the poem on the base of the Statue of Liberty. The poem, by the way, by Emma Lazarus, is called “The New Colossus”, the name of the new Wolfenstein game. As if it could be any more on the nose. There have been calls for the game to “stay away from politics”. But the Nazis didn’t emerge from nowhere. They weren’t some tiny group no one listened to. They controlled a nation, attempted to conquer Europe and murdered millions. We feel their effects today. So even if for years it was simply a default to use Nazis as villains, it is vital we reinforce our opposition to them. There is no room for complacency: you might think that, “of course you should oppose Nazis, that’s as obvious as breathing” – but as well-intentioned as that is, it could result in not actually doing anything. While the franchise may have begun by thumbing its nose at Nazis because Nazis were easy and mostly dead, continuing to do so while the US president pats the heads of sympathisers is worth celebrating. Wolfenstein II is a grotesquely over-the-top shooter where I blew up Nazis' skulls, melted them with lasers, and chopped their legs off with an axe before putting that axe in their face while maintaining eye contact. I'm going to leave it to the experts to argue about whether this is healthy or not, but it felt good. It felt really, really good. The thought "maybe this will offend Nazis" most likely never came up, because the existence of Nazis is automatically offensive. Sure, some of the complaining isn't coming from Nazis, just from misguided citizens who apparently slept through every history class ever. While punching a Nazi is up to you — I'm not going to tell you how to life your best life — I feel like I really should have punched more kids back in high school. You see, an anti-Nazi stance is the right stance. When it comes to Nazis there is a clear right side of history and a clear wrong side of history. There is no grey area in the middle where you can have mixed opinions and still hold a valid point. Cultura popular, guerras culturais, digital. Removamos o pop, mantenhamos as guerras. Dos novos monopólios de poder em guerra com os velhos monopólios de violência, e agora a braços com uma rebelião popular. A threat to big tech has been building from the top, with numerous senators and congressmen proposing to regulate or give anti-trust scrutiny to Google, Facebook and Amazon. But now figures of both major parties say the unhappiness with the companies is also bubbling up from the bottom. Steve Bannon is railing against the "Lords of Silicon Valley," and advocating the regulation of the big tech companies as public utilities [and] it suggests a potential replay of last November's rust belt exasperation with the status quo — when the establishment of both parties, in addition to corporate America, were blindsided by a shakeup to the U.S. political order. Bannon is stirring the pot: Silicon Valley, "today, corporate power is centered there, these are the guys running our lives, keeping our data, our content, and our communications". For conservatives, "Silicon Valley is the new Wall Street," he said. U.K. Prime Minister Teresa May is considering regulating Google and Facebook as news organizations, rather than being treated like pure tech companies. Regulating a company like Google or Facebook like a news company instead of a tech company means that they would be responsible for the content that appears on their sites.